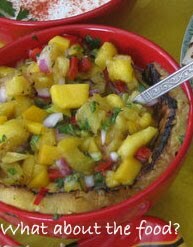 Tropical Salsa Inferno - What about the food? 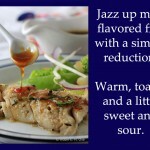 This is a good universal fruit salsa and I have used it on grilled Mahi Mahi, Salmon or Ahi Tuna. The grilled pinapple and honey combine for a very delightful taste sensation and worth the effort. 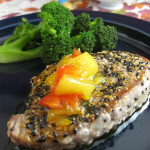 You could certainly add papaya or other tropical fruit, fresh ripe tomatos would also add a nice dimension. Play with it and enjoy the party! 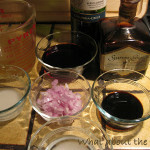 In medium bowl whisk dressing ingredients to combine. Add fresh ingredients and stir to coat. Refrigerate for 1 hour before serving for flavors to blend. 1. Grilled pineapple rings gives a new texture and flavor layer to this salsa. The light char and carmelization of the sugars really brings out a nice sweetness when combined with the honey and lime juice. Heat 1” thick pineapple rings on grill 3-4 minutes each side. 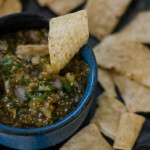 Set aside to cool, remove core then chunk for salsa. I prep a whole pineapple then freeze remainder for later uses. 2. Taste hot peppers before adding to mixture to see how hot you can take it. Adjust to suite. So glad. I hope you enjoy it and mix it up too. I froze the grilled pineapple for later inventions… thinking dessert next!